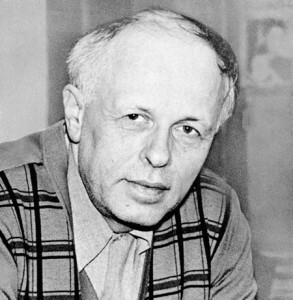 The son of a physicist, Sakharov was born May 21, 1921, in Moscow. He received his doctorate in 1947 and became a full member of the Soviet Academy of Sciences in 1953, at age 32, relatively young for Soviet scientists in that era. From 1948 to 1956 he conducted research on controlled nuclear fusion (the combining of atomic nuclei) and developed the theory necessary for the construction of a thermonuclear, or hydrogen, bomb during the arms race with the United States. Hydrogen bombs differ from the “atomic” bombs used at the end of World War II, which were based on nuclear fission (the splitting of an atomic nucleus) and made of plutonium and uranium. Hydrogen bombs are vastly more powerful; small hydrogen bombs have about 50 times the explosive power of the original atomic bombs. Soviet leader Nikita Khrushchev announced in 1961 the upcoming test of a 100­megaton bomb, equal to 100 million tons of explosives. Khrushchev planned the detonation of the largest bomb ever built to show the Soviet Union’s superiority in the growing Cold War with nations of the West. Sakharov came out publicly against the test after his subtler efforts to discourage its use failed, but it went ahead despite his objections. 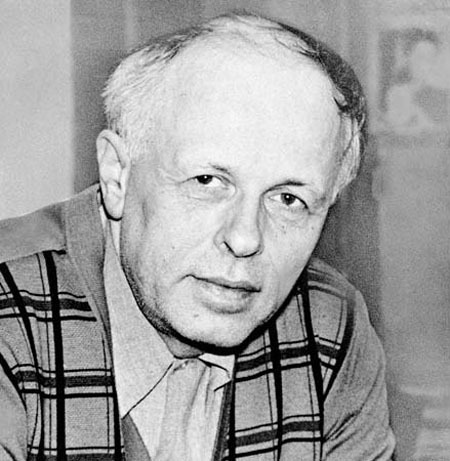 Some of Sakharov’s most important work was in the theoretical physics of elementary (subatomic) particles. In 1967 he developed some of the key ideas of what has come to be called Grand Unified Theory, an attempt to understand the particles and laws of the universe at the most fundamental level. By 1968 he had virtually abandoned his scientific work and turned to campaigns for political and intellectual freedom. In that year he published “Progress, Coexistence, and Intellectual Freedom,” an essay calling for reductions in nuclear arms, cooperation with non­ Communist countries, and freedom for imprisoned Soviet dissidents. In 1971 he married Yelena Bonner, also an activist for political freedom and human rights. He was awarded the Nobel Peace Prize in 1975 but was not allowed to travel to Norway to accept it. His outspoken criticism in 1979 of his nation’s invasion of Afghanistan exceeded the limit of his government’s tolerance, and in January 1980 he was stripped of all his honors and sentenced to internal exile in the prison city of Gorky. Four years later his wife was convicted of anti Soviet activities and joined him there. In 1986 the more tolerant government of Mikhail Gorbachev released them both, and permitted them to return to Moscow, where Sakharov continued to advocate for democratic reforms as a member of the legislature, to which he was elected in 1989. He died in Moscow on December 14, 1989. Sakharov’s efforts in particle physics moved work on unified theories a step forward. And the legacy of his activism against the deployment of the hydrogen bomb and advocacy of disarmament and human rights outlives his contribution to the Soviet Unions development of the hydrogen bomb. The debate over nuclear weapons and fear of their use has colored much of life in the second half of the twentieth century; for the first time in history, humankind holds the key to its own swift destruction. However, largely because of the efforts of Sakharov and other anti­nuclear activists, treaties have been signed to reduce the numbers of weapons worldwide. Continuing to control nuclear armaments and safely destroying the thousands of remaining weapons will bean important diplomatic function and an expensive burden well into the twenty­first century. Sakharov’s treatment as a political dissident in the Soviet Union became a lightening rod for human­ rights activists. His continued outspoken advocacy for human rights, even as he was a victim of human­ rights abuses, empowered less prominent activists across the world to continue and expand their struggle for political and intellectual freedom. Sakharov’s greatest legacy may be his work in the physics of elementary particles. His work on the Grand Unified Theory has laid the groundwork for further attempts to explain the fundamental forces and particles of nature in a single theoretical model. Testing and refining these theories will be one of the great challenges of the twenty­first century.